I don’t expect that too many people will like, let alone, make this recipe. But I am head over heals for this, and if you like Mexican- real Mexican, or beans, you will love this too. This is the kind of food chefs eat at home, when they’re not making fancy purees and sauces for discerning clientele. I find it to be delicious, cheap, healthy and versatile. Pinto beans are of course a staple in Mexican cuisine and in America they’re most known for their role in refried beans. And when cooked properly, that’s the flavor they assume: Savory, fulfilling, and delicious. Beans are of course an interesting culinary ingredient. Why not buy canned beans and save yourself a moderate amount of work? Why put yourself through the effort of making beans anyway? The answer, in my opinion, is simple: Control the flavor and control the salt. This recipe brings out immense flavor without the salt. If you like beans, you will like this. If not, skip this recipe, move on, and continue your search until you find what you’re looking for. If you choose to read on, I’d like to mention a couple things about the actual production. First, I don’t soak the beans overnight. Pinto beans will cook to completely tender in a few hours of relatively unsupervised cooking, and soaking them overnight doesn’t really save you any time. Second, producing a ‘stock’ as you cook the beans is critically important. This is base of the flavor without the salt. Add a couple of chicken legs or wings, half an onion and a piece of bacon to the beans at the very beginning. Start building your flavors early without sodium. And third, and this is a personal touch, I like to puree about 1/3 of the cooked beans with some of its own cooking liquid, and add it back to the rest of the beans. 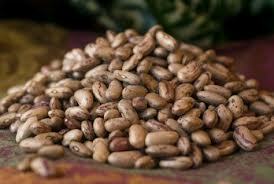 As it finishes cooking, it thickens the beans, resulting in that wonderful creamy texture and boosts the flavor. Delicious. A perfect side dish for any Mexican night or bbq meal. Place the beans, half onion, bacon and chicken in a large sauce pot. Fill the pot almost completely with cold water. Bring to a simmer and turn heat to low. Simmer very slowly for about 3 1/2 hours, or until completely tender. Remove the chicken and discard. Place the bacon, onion, about 1/3 of the beans and about 1/2 cup of the cooking liquid in a blender. Blender until very smooth. Add the puree back into the pot, and continue to simmer. Add the hot sauce. Simmer until very thick, about 1 hour. Season with cumin, salt and pepper (there is no specific amount of salt to add). Add salt until it tastes good, but be careful not to over salt. We add the salt at the end because the cooking process is a continual reduction; it’s very easy to over salt if you add salt any time other than the very end. Serve right away as a side to your favorite Mexican or bbq dishes. relatively simple to make, and don’t put too much pressure on the cook. It’s usually a mix of raw vegetables tossed with pasta and covered in either a mayonnaise or vinaigrette based dressing. They serve their purpose, meet everyone’s expectations, and are rarely the focal point of the meal. You take a little bit, pick at the cherry tomatoes and broccoli florets, determine that you can find something better on the buffet, and dig in to something else, like potato salad or cole slaw. First, the dressing, or the base. Mayonnaise based dressings can be too heavy, without genuine flavor or contrast. Vinaigrette dressings give your pasta salad a heavy – vinegar flavor, without really coating or providing any foundation for the salad. Therefore you need something that will coat the salad, adding a little bit of creaminess, something that has contrast (ie acid) and something bursting with flavor. And, adding a splash of color won’t hurt. I like to use a red pepper and sherry vinegar vinaigrette, thickened with croutons, honey and 1 egg. It’s my personal favorite, and provides an excellent base for your salad. Second, the vegetables. Don’t forget, it’s pasta salad. Pasta. Vegetables need to compliment the pasta, not over power. Throwing large pieces of abrasively large and raw vegetables into your delicate pasta salad will not work. You mouth has to do too much work and the flavor and consistency of the salad will fail. So forget about the raw broccoli, pepper strips and whole cherry tomatoes. Save those for a crudite or raw salad plate. Think more along the lines of charred corn, frisee leaves, grilled mushrooms sliced thin, grilled squashes, grilled asparagus. Make sure to cut the vegetables into pieces small enough to be palatable. Ease of consumption is very important! Also, don’t be afraid to add a little cheese for added flavor. A little crumbled gorgonzola cheese can really help the salad! Last, be careful with the pasta you choose. Using something like orzo or penette is great, large shells or rigatoni, not so much. It comes back to mouth-feel. Smaller pastas (cooked through) are more appropriate for salads. Make the dressing: Place the roasted red peppers, egg yolk, honey, croutons and vinegar in a blender and puree until very smooth. Season aggressively with salt and pepper. With the machine running, drizzle in the oil. Re-season. The dressing is now ready. Assemble the salad: Toss the mushrooms, corn, asparagus and squashes in a little vegetable oil and season with salt and pepper. Grill until everything is well charred but not burned. Let cool and slice everything into 1/4 inch slices (asparagus on a bias). Remove the kernels from the corn cobs. Toss everything in a mixing bowl with the cheese, frisee and cooked orzo. Add half the dressing and mix. Add more dressing as needed. You do not want to drown the salad in the dressing; you want to have everything evenly and lightly coated. You may not need all the dressing. Check and re-season if necessary. Assemble the salad on a platter or in a bowl and garnish with the sliced avocados. Cover and refrigerate until ready to serve. 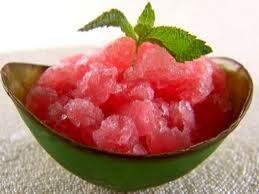 sorbet, not quite a shaved ice, granitas are simply delicious. As with many fruit-based frozen desserts, it’s usually a good policy to let the natural flavors speak for themselves. Ripe melons don’t need addition ingredients to taste great. Nature has done the work for us; all we need to do is transform these great ingredients into something frozen, refreshing and delicious. To produce a great granita, a few rules must be followed. First, be diligent about scraping the mix as it freezes! The finer the shavings, the better the end result. Second, mixing in 1 pasteurized egg white right before the freezing process will lend an incredible airy texture to the mix when it’s done. It’s optional, but I think it makes a huge difference. 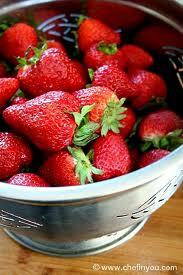 Last, and probably most important: Use ripe fruit! Your food is only as good as the ingredients and when you only have 4 ingredients, 3 of which are basic staples, your primary ingredient better be good. Place everything except the egg white in a blender and blend until smooth. Pour out into a deep baking pan, work in the egg white with a fork, and freeze for 1 hour. Remove from freezer and break up any freezing chunks with a fork. Return to the freezer. After a couple more hours, remove from the freezer and scrape/work the mix with a fork to form icy flakes. Cover tightly and continue to freeze until ready to serve. Give it one last scraping before serving. Many (almost all) of my recipes call for stocks. And of those stocks, the vast majority are chicken. Rich chicken stock, homemade chicken stock, reduced chicken stock, brown chicken stock… it all comes down to one very fundamental notion: You need chicken stock on hand. 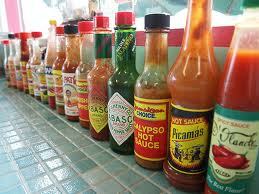 Otherwise your sauces, stews, braises, etc will be missing critical flavor and consistency. Ingredients are easy. Every time you have chicken bones (even if it’s from a whole roasted chicken), SAVE the bones. Throw them in a bag, put them in the freezer and store them. When the time comes to make your stock, you won’t need to purchase chicken bones. After that, it’s a few aromatics and herbs, and you have everything you need. Real chicken stock has one crucial ingredient that store bought broth does not: gelatin. This is the richness, the savory goodness, the flavor underneath the flavor, the desired component… This can only be derived from cooking the bones for a long time, slowly breaking down the natural collagen, releasing it into your stock. The air in your kitchen will develop the deep aroma of chicken soup. When it cools in your fridge, it will solidify and look like geletin. This is what you want. When it’s reduced, it will thicken itself. Making the stock is easy, but it takes time. In my opinion, if you’re going to make it, make a large batch and freeze most of it in small quantities, so when you need it, you don’t need to defrost the entire batch. Make it on a rainy day when you feel like spending some time indoors. A little bit about the actual production: I like to blanch the bones. This is an optional step, but it does 1 important thing: removes the fat and impurities from the bones. Now they’re clean and devoid of any unwanted particles. Second, using wings or chicken feet produces the best stocks. They are higher in collagen than any other part of the bird, and produce the best results. And third, do not chop your vegetables. Peel what needs to be peeled and leave them whole. Broken down vegetables have a tendency to fall apart, and consequently cloud your stock. You want a very clear and pure finished product. Blanch the bones (optional, but important). 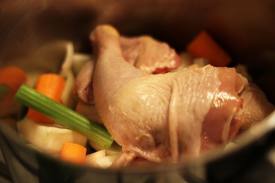 Place the chicken bones in a large stock pot and barely cover with water. Bring to a boil, turn heat off and strain the chicken bones. Rinse the bones well under cold water. Clean the pot. Return the bones to the pot and add all other ingredients. Cover with cold water by about 4 inches. Bring to a simmer, turn heat to low, and very slowly simmer (a bubble or two every few seconds is perfect). Continue to cook this way for 4 to 6 hours (the longer the better). 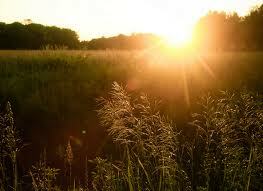 Do not stir or agitate in any way (that will create a cloudy stock). Strain through a very fine strainer and put on ice to cool rapidly. As it is 5 de Mayo, I thought it might be appropriate to post this short blog. It might have been even more appropriate to have posted this yesterday, but today is 5 de Mayo. So why not? 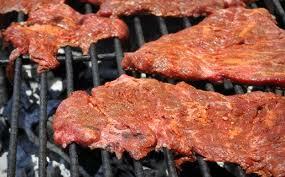 it doesn’t need to be 5 de Mayo to make excellent carne asada. Plus, it’s quick and easy, no hard-to-get ingredients, no elaborate preparations. Nothing fancy, just big flavor. Mix everything together and work into the meat. Seal in a ziplock bag. 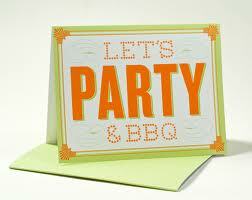 When ready to grill, gently pat the meat dry, salt liberally with kosher salt and grill over high heat. and sometimes an egg. All heavy ‘fat = flavor’ items, which when combines, produce the rich and creamy alfredo sauce. Personally, I love alfredo sauce. But I try to make mine slightly more healthy, once again relying on natural flavors, over heavy fat and rich ingredients. Sun dried tomatoes. Slightly bitter and chewy. 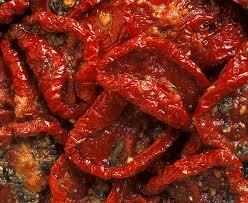 They’re usually thrown in some pasta dish as an after thought to add a splash of red color and tomato ‘essence’. Do we really like them? It’s tough to say, but in my opinion, they can come across as somewhat abrasive and unpalatable. In reality, sun dried are pure tomato flavor. They need to be cooked/processed correctly. Simmered in chicken stock and pureed, they become your secret weapon. Not only is it an explosion of tomato flavor, but it’s also a great thickener. You won’t need to use as much cream, cheese or any butter, and it will boost the flavor. Naturally. In a small sauce pot, bring the chicken stock to a boil. Add the sun dried tomatoes and simmer for 5 minutes. Turn heat off and let stand for another 5 minutes. Transfer the whole thing to a blender and puree until smooth. In a saute pan, begin sauteing the mushrooms in the oil. Season with salt and pepper. Add the heavy cream and bring to a low boil. Add the tomato puree and continue simmering until slightly thick. Stir in the cheese. You sauce is now ready. Best served with penne and grilled chicken. on ‘Spring seasonal food’. And rightfully so. I love the culinary transition from winter to spring. It offers so much bright, vibrant and ‘new’ selections. But sometimes we need more. We need to splurge. 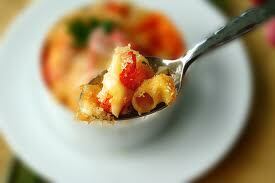 Lobster Mac n’ Cheese. What separates mine from others? Clearly, this is not a new or original idea. I personally like to keep mine cleaner and simpler than others. I don’t like the base to be a rich cheese-laden sauce, full of heavy cheeses like tallegio, brie, aged cheddars, gouda, and so on. Though they are delicious, their naturally strong flavors and heavy consistency mask the sweet and delicate flavor of lobster, and the earthy flavors of forest mushrooms. I prefer a light cream sauce, sweetened with garlic and shallots and contrasted with a splash of white wine. The cheese: high quality parmesan reggiano. It’s all you need, and after making this, I think you will agree. Bring a large pot of salted water to a rapid boil. Have a bowl of ice water ready. Submerge the lobster in the boiling water for cook for 5 minutes. Remove the lobster from the water and submerge it in the ice bath. Cool completely. Crack the lobster and remove the meat from the claws and tail (make sure to devein the tail). Save the shells for another time. Go to youtube for lessons in this. Rough chop the meat and reserve the claw meat. Bring a small pot of water to a boil. Salt liberally. In a medium heavy bottomed saute pan, begin lightly sauteing the mushrooms in the oil. Season with salt and pepper. As the mushrooms saute, add the shallots and garlic. Cook until highly fragrant, about 30 seconds. Add the white wine and reduce until almost dry. Add the cream and bring to a gentle simmer. Put the cooked pasta and lobster in the boiling water to reheat. Drain the pasta and add to the saute pan. Add half the cheese and work in well. Remove from the heat and swirl in the butter and a small amount of the chives. Spoon the pasta into 4 warm pasta bowls. Top the bowls with the remainder of the cheese and chives.